Running a Restaurant is really tough work – that’s why the team at Marketing4Restaurants have built a range of free restaurant marketing tools to help you find new restaurant customers and turn them into repeat customers. This helps you increase the revenue in your restaurant, increase the profitability in your Restaurant and hopefully work a few less hours in your Restaurant. Take Out is an important revenue stream for many Restaurants. There is less work front of house in serving the customers and you aren’t limited by the number of tables you have. Taking orders online decreases errors, frees up a staff member to serve customers rather than answer the phone and most importantly, it builds your Database. Many businesses offer online order tools for Restaurants, but nearly all of them want to clip the ticket on the way through, some charging 10% and they also take your loyal customers contact details. We think this is unfair and that’s why we built FROLO, the Free Restaurant OnLine Ordering system. Start taking orders on your website today. It’s quick and easy and best of all, it’s free. 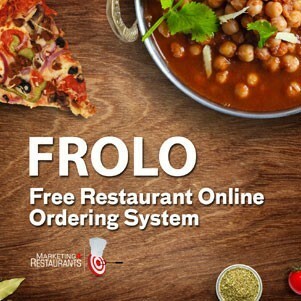 FROLO is the perfect alternative to Menulog, Just Eat, Grub Hub, Delivery Hero, and Eat 24. If you take bookings for your Restaurant, you should ditch the old fashioned book and start taking bookings from your own website. This is one of the quickest ways to build a restaurant marketing database. Taking Restaurant bookings online allows you to take bookings 24 hours a day, cuts down on errors, saves staff time and best of all, it builds your Restaurant Marketing Database. Don’t use an online Restaurant Booking system that charges you to take bookings from your own customers, and never share you customer details with other customers. With our Free Online Restaurant Booking System, taking restaurant bookings online has never been easier, and like FROLO, best of all it’s free. 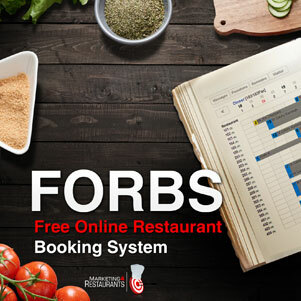 Our FORBS has taken over $15,000,000 worth of bookings for Restaurants. 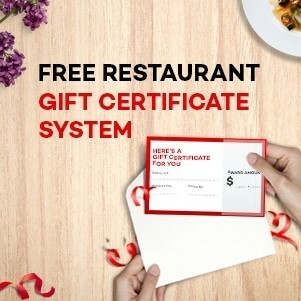 Sell Gift Certificates to your Restaurant quickly and easily without any fees or charges (except your payment gateway). The Free Restaurant Gift Certificate system improves your cash flow, increases margin and feeds into the Free Restaurant CRM system so you can build the email database of all your great customers. Make sure you are getting your fair share of the Mother’s Day and Birthday revenue that is being spent by your customers today. Join thousands of Restaurant Owners just like yourself who listen to James Eling, our Restaurant Marketing Expert. Download the podcasts and listen on your way to work and listen to James as he goes through all of the ingredients of successful Restaurants in their marketing, their food and their operations to create a unique Secret Sauce for Restaurant Success. You’ll hear about wht works and more importantly what doesn’t. We share our hits and misses as well as the secrets of the Restaurant Marketing industry to help you build your Restaurant business. 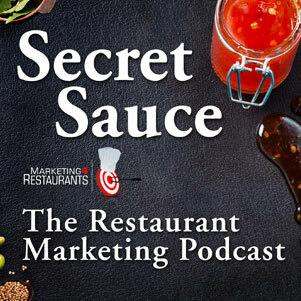 Secret Sauce has been listened to by Restaurant owners just like you in over 103 countries.